There is no place in the home where you spend more time than your bedroom. Even if you aren't awake while you're there, waking up to a well-designed bedroom is the optimal way to start your mornings. And sprucing up your space doesn't mean going through a full gut renovation. With just a few easy adjustments, you can dramatically change the way your bedroom looks. If you want to wake up in the space of your dreams, then follow our guide for a quick bedroom refresh. When refreshing your bedroom, try to establish an orderly layout before adding in accents. If you're looking to make your bedroom feel a bit more organized and serene, then consider adding in some symmetrical elements. In this Four Seasons San Francisco luxury condo, we installed matching bedside consoles, and then adorned each console with a matching lampshade. If you're trying to give your bedroom a quick refresh, then consider getting creative with wall decor. If the wall space above your bed is empty, then consider adding a piece of art that compliments the existing colors in your bedroom. 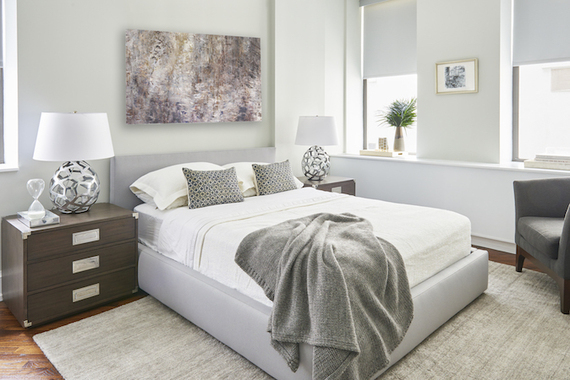 In this Upper East Side apartment remodel, we hung a monochromatic print above the bed, for a subdued addition to this neutral bedroom. We're all for productivity. But during the winter months, who doesn't want to spend the day in bed? And if there's a blizzard going on outside, then you're going to want the most comfortable bed possible. If you're wont to spend the day in bed now and again, a plush headboard makes sitting up in bed exponentially more comfortable. We installed one in this Upper East Side Luxury Condo, for a comfortable, yet luxurious touch. We love to incorporate bright pops of color in the home. 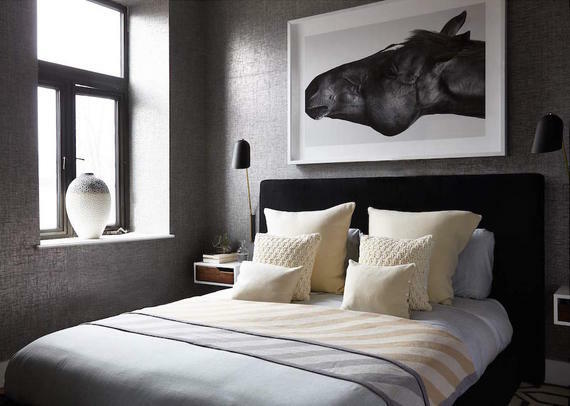 But in the bedroom, it's best to stick with a grey, neutral palette. 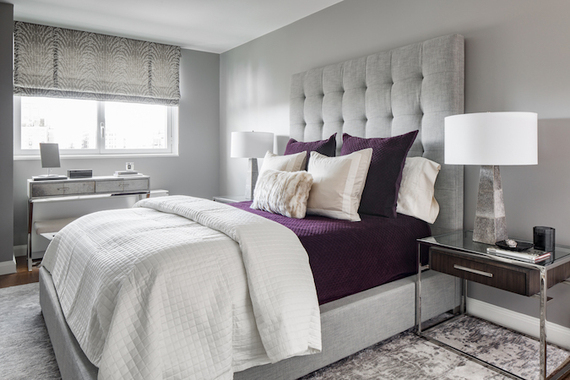 If you're looking to give your bedroom a serene refresh, then consider swapping out any glaring colors for greyed, muted pieces. For a bit of inspiration, check out our stylish redesign of this TriBeCa investment property. Your bed is the centerpiece of your bedroom. So if you're looking to give your bedroom a quick refresh, then consider opting for a bold new bed frame. In this Battery Park City home, we sourced a brushed-metal canopy bed frame, which creates a dramatic contrast, and accentuates the apartment's high ceilings. Get a second duvet. Make it a baker's dozen of pillows. One of the most satisfying ways to give your bedroom a quick refresh is to purchase plusher bedding. Whether you start fresh or add to what you've already got, pile on the comfort. 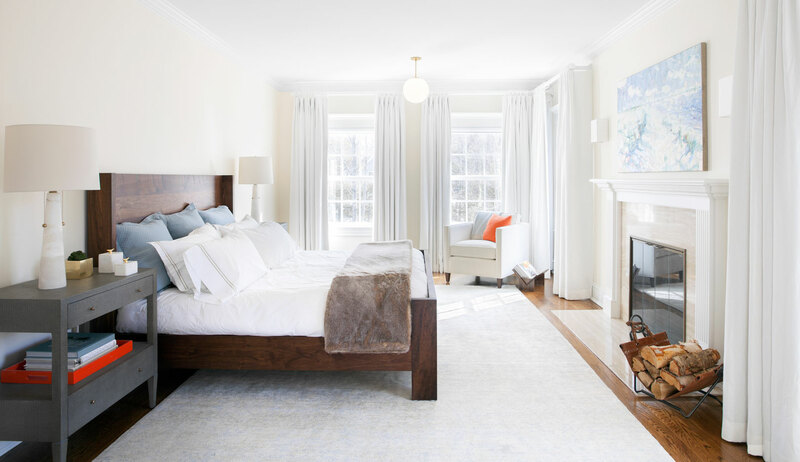 We love the amount of pillows and the plush duvet that style the master bedroom in this New Canaan makeover. If there's one room of the house that you want to darken, it's the bedroom. A more somber atmosphere is the perfect way to wind down the day, and can help you sleep better. 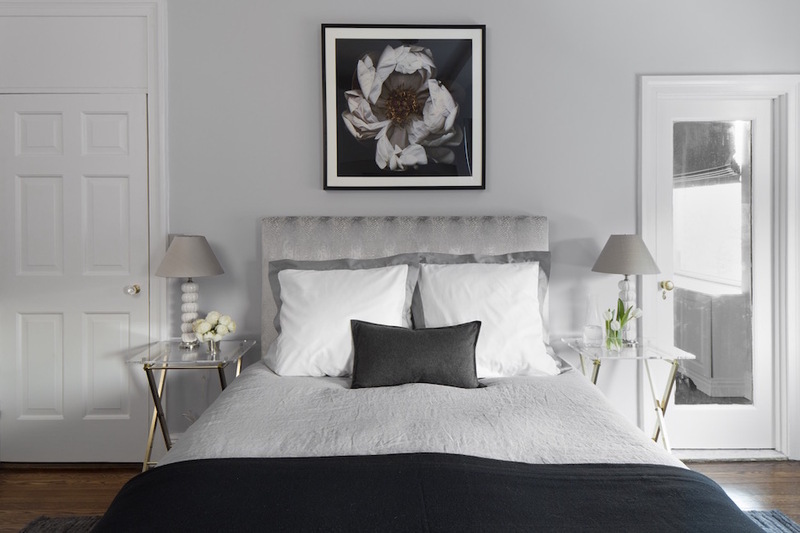 In the master bedroom of this SoHo duplex, we installed grey wallpaper, and a monochromatic print, for a more subdued vibe.